Come out for a day full of fun and color, at the 2nd Annual CASA of South Texas Color Run, this Saturday, April 13 at 8 a.m. at the Pleasanton River Park! All ages are welcome to run – or walk – in this 5K! The first 75 registered participants will receive a dri-fit T-shirt to wear for the run. A child under 12-years-old can participate at no charge with a paid adult runner. Go to www.raceentry.com/races/casaofsouth-texas-colorrun/ 2019/register to register today! If you would like to register another way, please contact Brianna Saroz at 830-480-4793 or casa.brianna@att.net. There are sponsorship opportunities available at the $300, $600 and $1,000 levels. Call Brianna for details. This fundraiser is being held in conjunction with Child Abuse Prevention Month. The next Poteet Farmer’s Market will be Saturday, April 13, after the festival. Stop by for berries and veggies, 8 a.m.-1 p.m. The event will take place at the Poteet Strawberry Festival grounds, 9199 N. State Highway 16. Call Marie Levy for details at 210-846-1728. The Pleasanton Fire & Friends will host their 3rd Annual Easter Egg Hunt on Saturday, April 13 at Pleasanton Station #1. It is located at Airport Road and Goodwin and will take place from 12 noon-2 p.m. The Easter Bunny is hopping over to Methodist Hospital South on Saturday, April 13. Bring your children to this free community event from 10 a.m. to 1 p.m.
Meet the Easter Bunny and enjoy arts and crafts, cookies and punch. The Pleasanton Rotary Club extends an invitation to the public to participate in the 7th Annual Bubba Wehman Memorial Golf Tournament. The event supports the Pleasanton Rotary Club scholarship program. The 4-person “Florida scramble” tournament will tee off at 1 p.m. on Saturday, April 13, at the Pleasanton Country Club. An awards dinner will follow, catered by Lew’s Patio & Grill. Cost is $100 per person and $400 per team. Prizes (based on 72 players) are first place: $1,000, second place: $600 and third place: $400. Hole in one prizes: vehicle Kinsel Ford. On Saturday, April 13 and Saturday, April 27, from 12 noon to 4 p.m. Crosspoint Fellowship will hold free parenting classes. The church is located at 739 Dallas St. in Pleasanton. Participants will receive eight hours of credit for the two classes. A certificate of completion will be awarded. For details, please call Neda Hayes at 830-742- 8910. Local senior citizens are invited to the next Senior Days event on Monday, April 15. Join the fun and play Loteria, also known as “Mexican Bingo” starting at 10 a.m. at the Pleasanton Civic Center. Senior Days is sponsored by the Pleasanton Express and City of Pleasanton Parks and Recreation Department. The Easter Bunny will be there for photos. All proceeds benefit Pleasanton High School Project Grad 2019. Support the Pleasanton High School Eagle Band, at Taste of the Band on Saturday, April 27. The dinner will take place from 5-7 p.m. at the PHS Cafeteria. Tickets are $7 each. Each section will choose a theme and prepare food to go along with their theme. They will then decorate their booth to match their theme. Guests will vote as to the winner, who will receive the coveted Golden Spoon Award. Silent auction donations are also needed for the event. If you would like to donate, please contact Tammy Avery at: eagleband1234@gmail.com or call 817-692-3286 or Darlene Benavidez at: darlenegarza58@gmail.com or call 210-445-4132. Join us on Saturday, April 27 for the 38th Annual Poteet Aggie Senior Reunion. It will begin at 10 a.m. at the Poteet High School Cafeteria, with lunch served around 11:45 a.m. for the annual reunion. All who attended, taught, coached at Poteet ISD are welcome to attend. Welcome to the Class of 1977, joining us as new members. Congratulations to the Class of 1969, celebrating 59 years! Make checks payable to: Poteet Senior Athletic Association. Fees are $10 per person per meal, plus $10 annual dues per family. Scholarship monies after commitments are paid. Meal is $15 at the door. Mail to: Becky Goins Leal, PO Box 562, Poteet, Texas, by April 15. Those with questions are asked to contact Carol Page Young at 210-884-9632. Senior Days at the Pleasanton Civic Center on Monday, April 29 will feature Tai Chi, the ancient Chinese wellness activity. Senior Days is made possible through the sponsorship of the Pleasanton Express and Parks and Recreation Department. Jamie’s Special Ranch for Kids will host a free prom-style dance on Tuesday, April 30 from 10 a.m.- 2 p.m. at the Pleasanton Civic Center. The “Sweet Memories” Spring Dance is for those with special needs, ages 14-adult. There are 336 people registered along with 95 staff. They currently have a waiting list for the dance. If this is something you would like to be a part of, there are two ways you can help. One, is please consider sponsoring a table and second is volunteering at the dance. 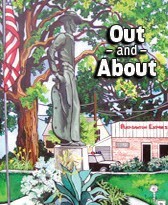 IF YOU have an event you would like featured in Out and About, email Lifestyles Editor Lisa Luna at lluna@pleasantonexpress.com or call our office at 830-569- 6130 or 830-281-2341.